Rookie Dereck Rodriguez rides a winning streak into a matchup against the Brewers on Thursday night, with San Francisco looking to stay in the playoff conversation while Milwaukee tries to keep up with the Cubs. 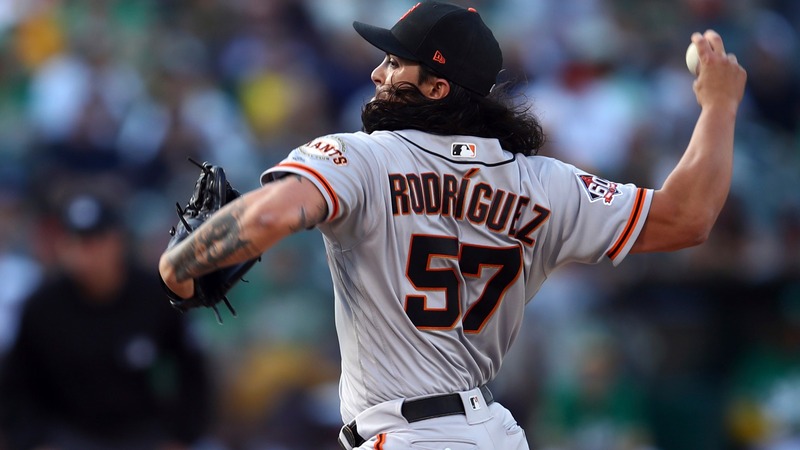 Rookie Dereck Rodriguez rides a winning streak into a matchup against the Brewers on Thursday night, with San Francisco looking to stay in the playoff conversation while Milwaukee tries to keep up with the Cubs. [ Odds: Milwaukee Brewers 58-46 (+105) at San Francisco Giants 52-51 (-115)](https://www.betchicago.com/mlb-betting/coverage/ee4dbc7c-d5c4-4508-8200-637a0da9f3fa) Total: 8 (UNDER -120) 10:15 p.m. ET/9:15 p.m. CT The Giants are 7-1 in Rodriguez's eight starts this season, including winners of six in a row. They'll need to continue that run if the Giants are to keep pace with the Dodgers, Diamondbacks and Rockies in the NL West. He'll oppose Wade Miley, who is making his fifth start on the year. He has a 1.56 ERA, but a 3.97 FIP. He's walked 11 and struck out 11 in 17.1 innings, but only three runners have scored. Miley has walked seven batters in his 11 innings since coming off the DL. The Brewers lost both games. The Giants don't have much history against Miley, though. Evan Longoria will return off the DL and has three career homers off the lefty but is hitting only .194 in 31 at-bats. Pablo Sandoval is hitting .357 in 14-at bats against Miley. The Brewers have never seen Rodriguez. Milwaukee has the most home runs against right-handers in the National League this season. The Giants have the fourth-most runs in the league against lefties. The UNDER is 4-0 in Rodriguez's last four starts. The Brewers have lost five road games in a row. The Giants are 23-12 straight up when favored at home.